Besides being one of our favourite nursery rhymes, what links Old Macdonald, Mary had a little lamb, Itsy Bitsy Spider and This Old Man together? Nothing really, that is until they land themselves onto the laps of the talented husband & wife team Bert Lindsey and Geraldine Png who has successfully turned them, along with another 4 rhymes, into 8 songs that was injected with; in her own words, "refreshing twist of pop, jazz fusion & classical genre combinations". That's not all! The duo have also creatively weaved a simple story out of them; hence the track Story with Music Part 1 to 8. The #1 track on the CD is Yankee Doodle, when I first played it I was expecting some quirky or funky tune of the song, instead the 1st phrase of Do Your Ears Hang Low came out in a somewhat sad tune. I was curious and asked Geraldine about it and she replied that Bert had in mind The Revolutionary War in the United States against Britain. Now that explains the little sadness in it. Twinkle Twinkle Little Star is one of the first few nursery rhymes I sang to DinoBoy when he was a baby. It has a special place in my heart because as a new Mum I wasn't sure how to communicate or coax this little bundle of joy who does not respond when I speak, so I sang to him instead. We absolutely love the way Bert arranged this piece, the rhythm is catchy and we couldn't stop ourselves from bobbing our heads to the beat and dancing in the living room. In fact, we were shaking our body and doing funny dances to the songs. You really cannot just sit down quietly and listen to the album, it will entice you to move to the beat, even if its just tapping your fingers. You can watch some of the Gerry Rhymes YouTube videos over here. There is only one track in the CD that is not nursery rhyme, it is an original Christian number; Child In Your Eyes, music composed by Bert and lyrics written by Geraldine. I am very touched by this song and it brought tears to my eyes when I first listen to it in the office. I couldn't get a grip of my emotions and it took me some time to regain my composure before anyone noticed my teary eyes. I didn't understand why this song could affect me so much and but was afraid to listen to it again. It took me about a week before I gather much courage to listen to it again. This time I listened with a clear mind, then I understood. This song touches every bits of memories in my life and those were happy tears that I shed. The song reminded me of my Mum whom left us in November 2014, it brought back recent memories of the time I spent with her. And as I listen to the song a few more times, sometimes on repeat mode, I started to remember my Dad who passed away some 9 years ago. It also made me think about many things, like the time when DinoBoy was born, the joy and happiness of having him in our life, the wonderful and magical day when DinoPapa and I tied the knot, our honeymoon, the hardships we went through together in the past 14 years. Finally, it brought me back to the presence and made me appreciate everything that happened, leading me to where I am today. "The song Child In Your Eyes was initially in my Christian concept album Moonstone City arranged by my husband Bert and written by myself between 2004 to 2010 that was about my personal recovery in alcoholism back in 1999. It is a song about my personal relationship in my God & Creator Jesus Christ. And yet it can also be related to an elder person who takes great responsible care, love and bonding of any child be it a child's daddy or mommy whom a child can trust and be guided." And I have to agree with Geraldine's comment in her interview with Pasadena Star-News, - "you can relate how you want." We enjoy the CD tremendously and now DinoBoy sings Twinkle Twinkle Little Star and Itsy Bitsy Spider; in what he call "the funky way". You can purchase the songs online from CDBaby or alternatively from Popular Bookstores and HMV Singapore at S$16.90 starting from April 2014. Look out for "Gerry Rhymes Again" album that will be release in near future. Geraldine Png is Singapore born singer and songwriter based in Los Angeles and a mother of a two year old girl, Seanny. She grew up in Singapore listening to the records her father played by American artists like Charley Pride, Elvis Presley, Harry Belafonte and Henry Mancini. She worked a series of jobs; she was a flight attendant, a nightclub singer, a disc jockey and a children’s music education executive with the Singapore Symphony Orchestra. She sings the songs in Gerry Rhymes and does most of the drawings you seen in all Gerry Rhymes YouTube vidoes. In her own words "I guess that child in me is always there and it somewhat came out in the drawings." She has also amazingly arrange together photos, film shoots, drawings and free domain pictures & photos using The Windows Movie Maker tool. 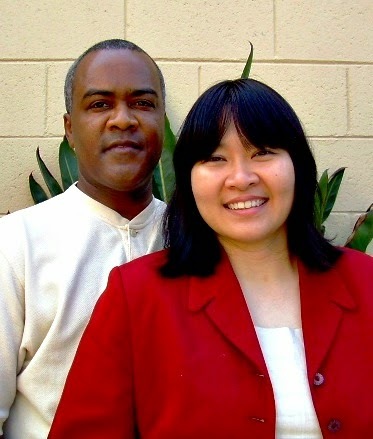 Her American born husband Bert Lindsey is the music arranger for this album. Bert was born with music and art all around him. At age seven he began piano lessons at the USC music conservatory in Los Angeles. He built up his first home recording studio in 1974 and organized his first band while in high school. He composed his first symphony “Birth” soon thereafter. During the eighties Bert composed dramatic symphonic scores for USC, UCLA and Loyola Marymount film students and continues to freely mentor young artist offering his studio as a place for free collaborative artistic expression. He has performed and delighted audiences in the United States, Ireland, Denmark, Czech Republic, Malaysia, and Singapore. 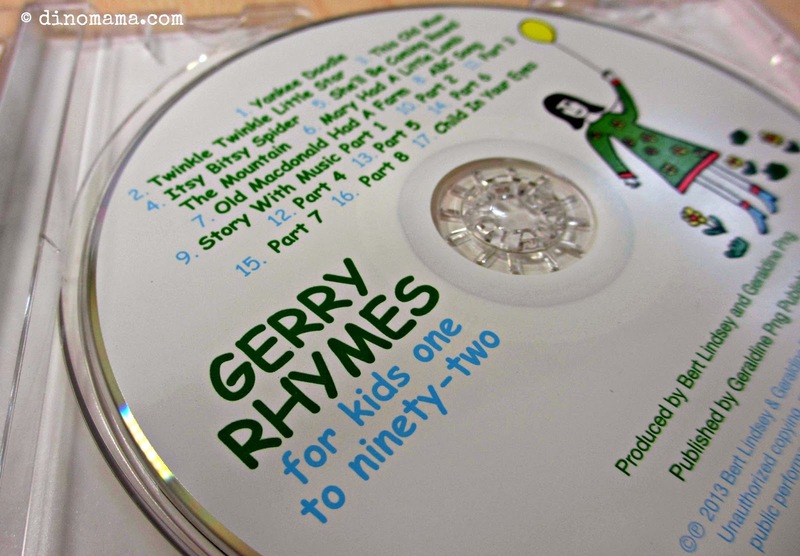 The couple's 2 year old toddler Seanny was also involved in the making of Gerry Rhymes too. She chipped in a bit with her drawings especially in Old Macdonald Had A Farm with her zing zing colourful touches. And if you listen carefully you can hear little Seanny's voice in some of the songs. Former Singapore talentime winner, jazz singer and corporate speech trainer Ms Choon Mah-Meggett is the narrator for the story and music inclusion in the album. Her motherly sweetness, warmth and hint of a British accent is the icing to the album’s cake, so to speak. She helps as a volunteer for the children’s nursery at her church every Sunday. Since this is such a great CD which we enjoyed so much, we feel that we should share the joy with some one, therefore we will be gifting it to ONE lucky Singapore winner as Geraldine would like to promote her CD in Singapore, where it is after all her home country. Please enter the giveaway by using the Rafflecopter widget below. Disclaimer : We received a copy of Gerry Rhymes CD from Geraldine Png in exchange for our honest review after listening and enjoying the songs. Totally agree with you Carla.